MG TF 1500, year 1955. 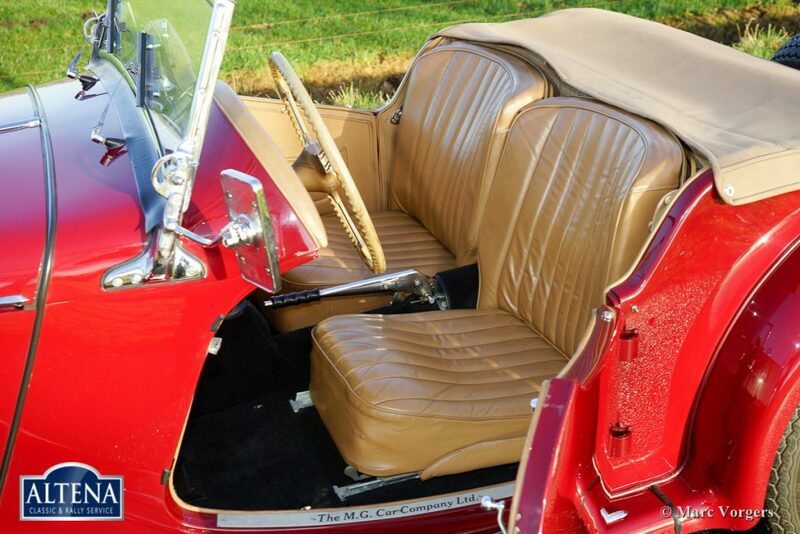 Colour dark red with a beige leather interior and black carpet. 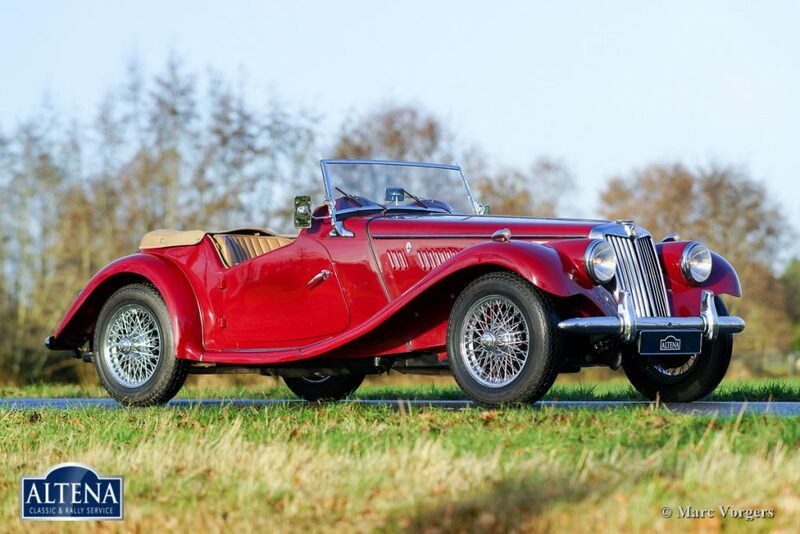 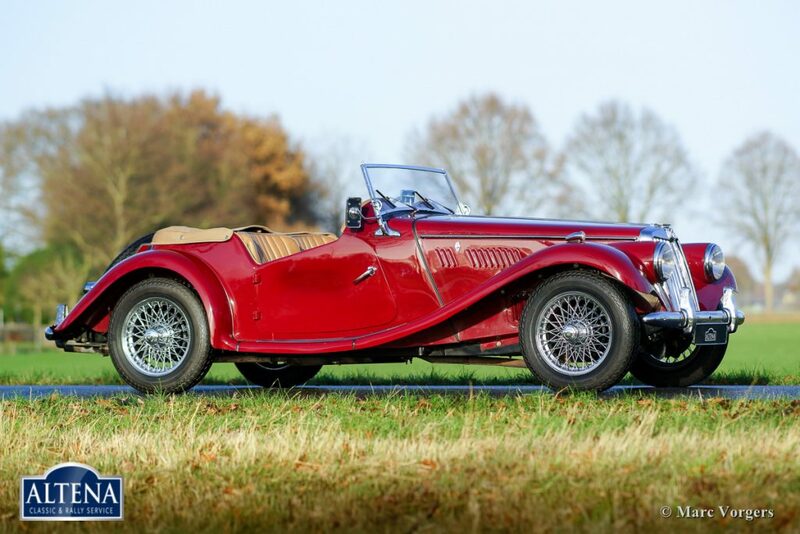 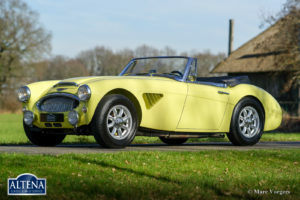 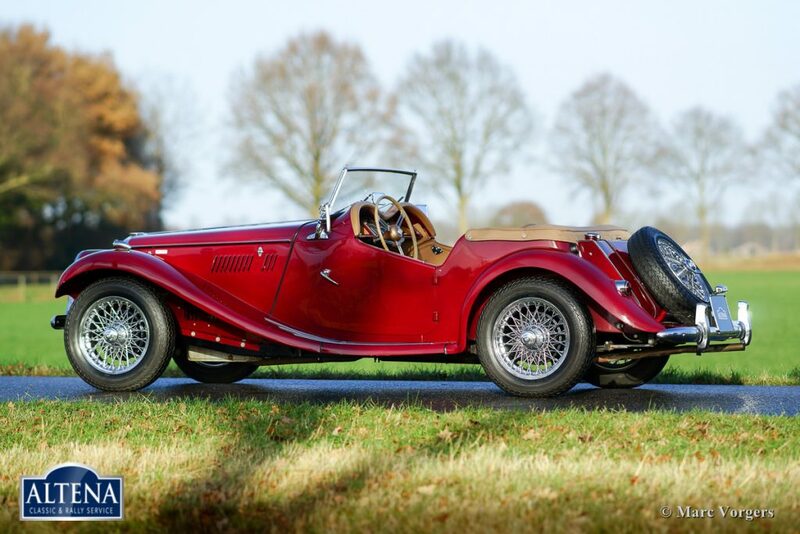 This wonderful and rare MG TF 1500 was imported to the Netherlands in the year 1999. 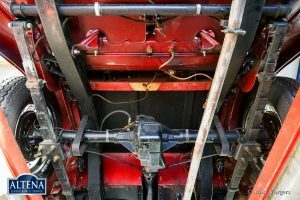 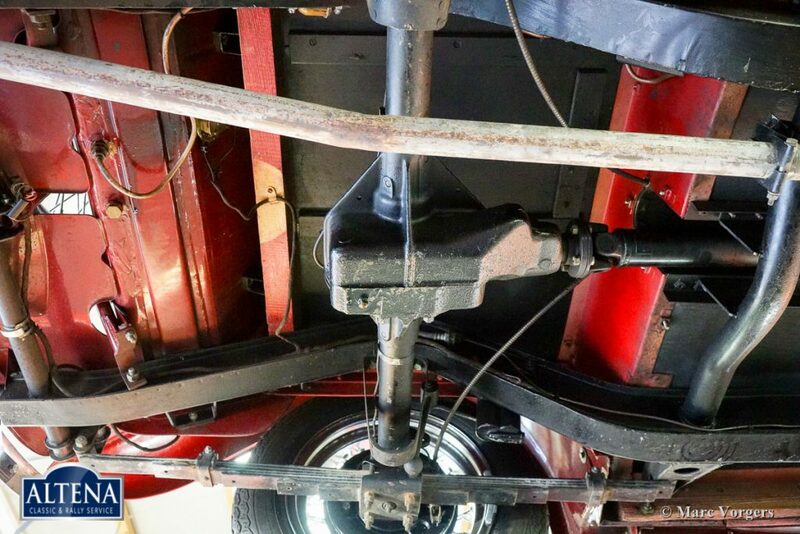 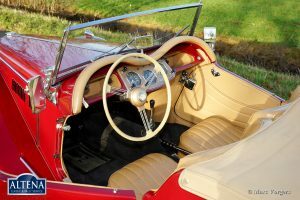 In the years 2000 and 2001 the automobile was extensively restored to factory original specifications. 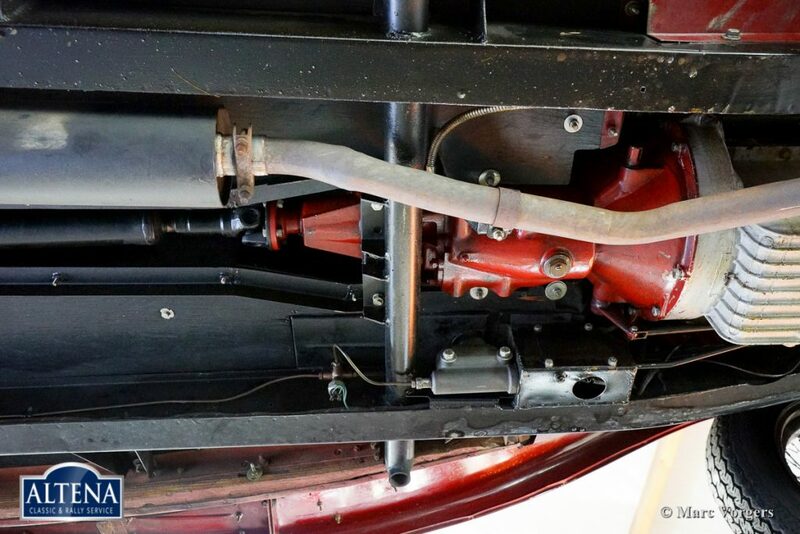 A photo reportage of the restoration is present. 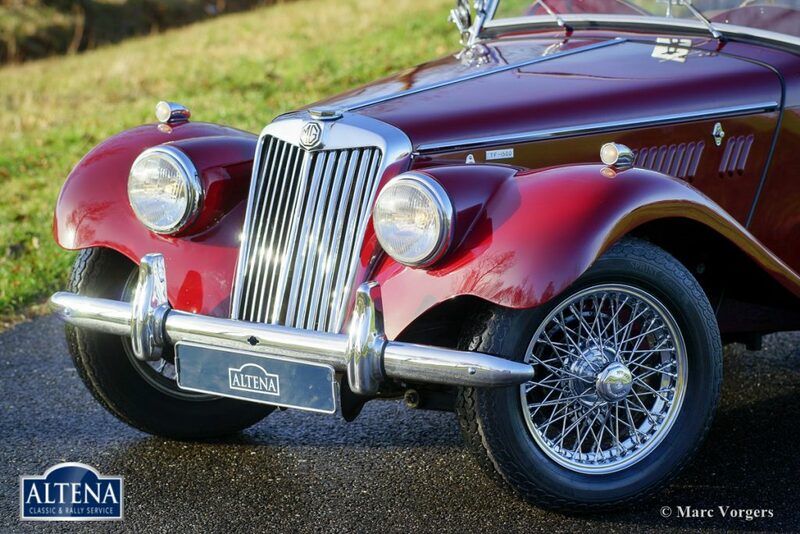 Since the year 2001 the car has known only one caring owner; this MG TF is in superb TOP condition! 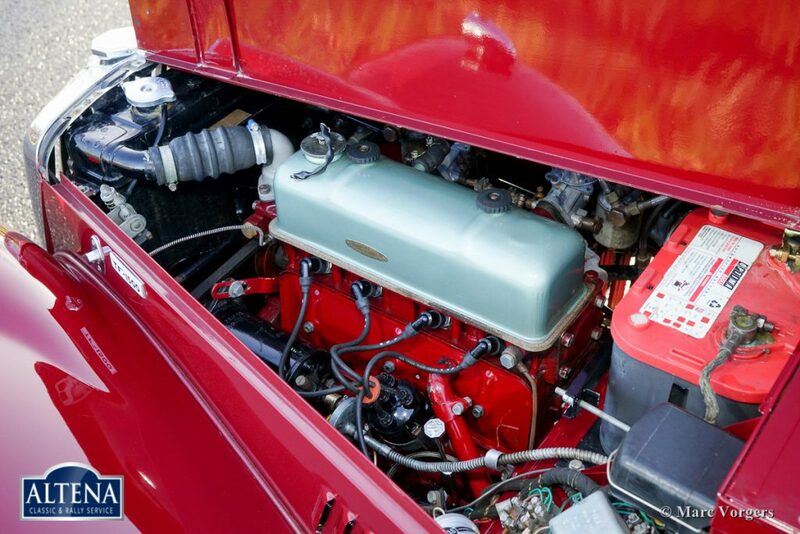 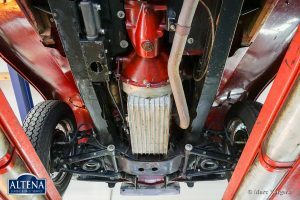 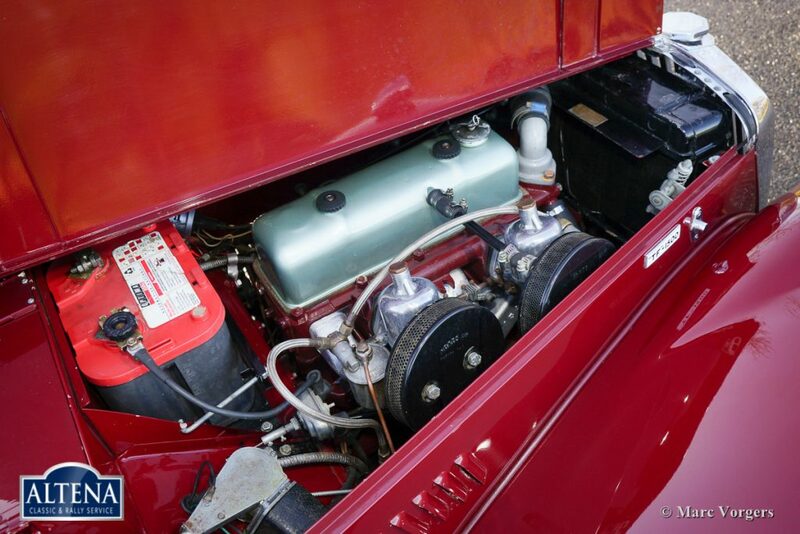 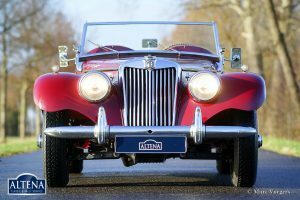 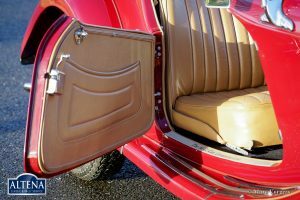 The car features chrome wire wheels, a tonneau-cover and a maintenance free ‘dry cell’ Optima battery. 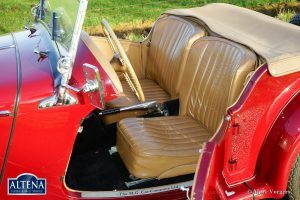 The original instruction manual is still with the car! 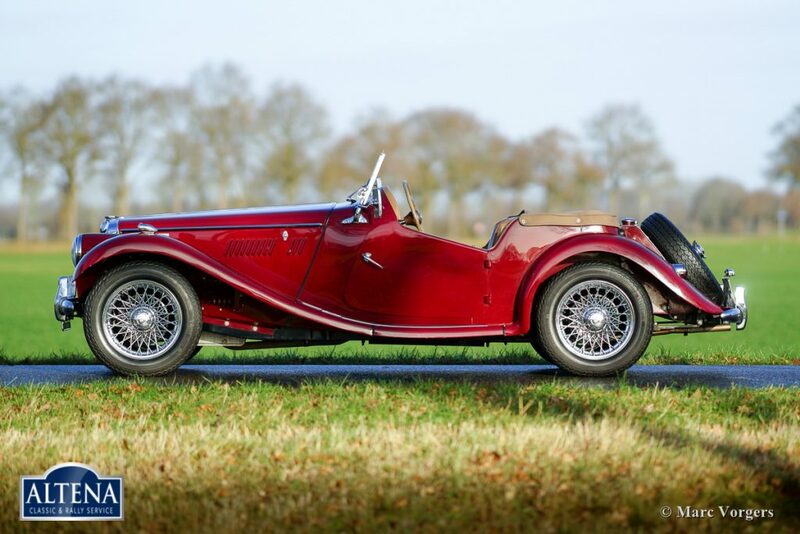 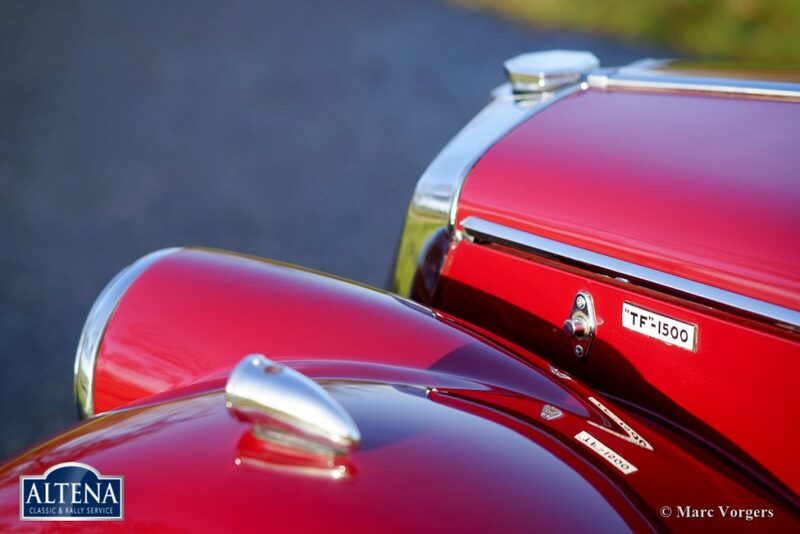 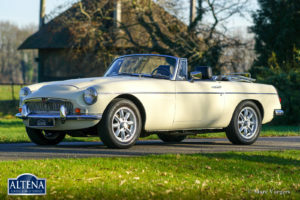 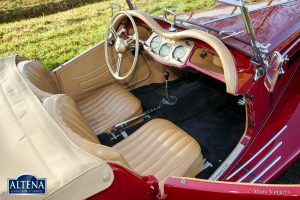 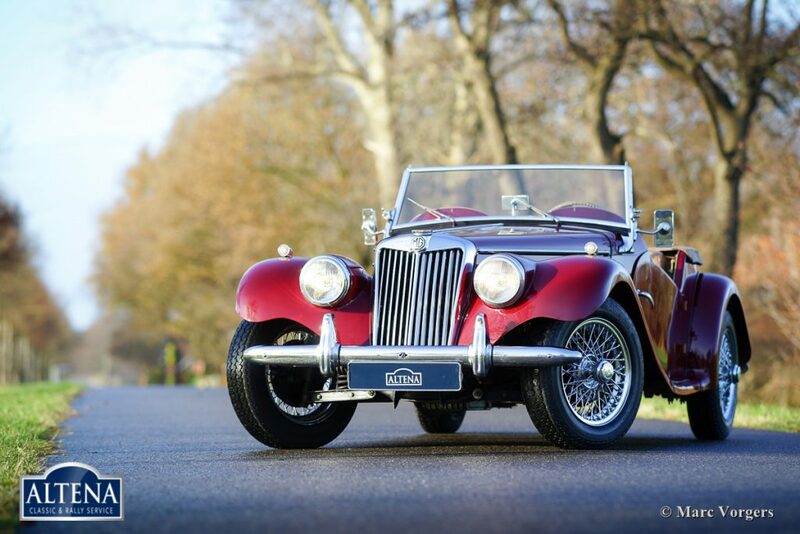 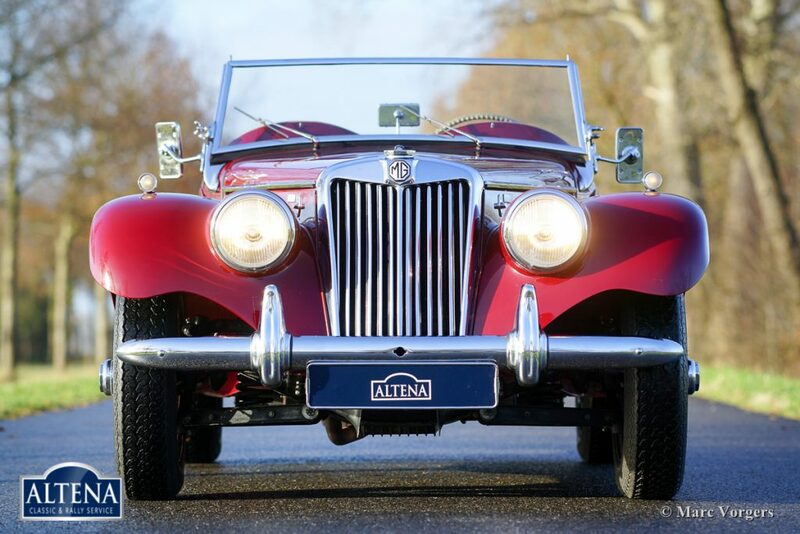 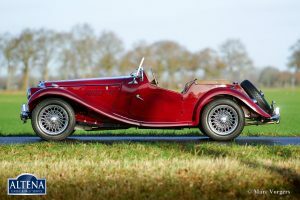 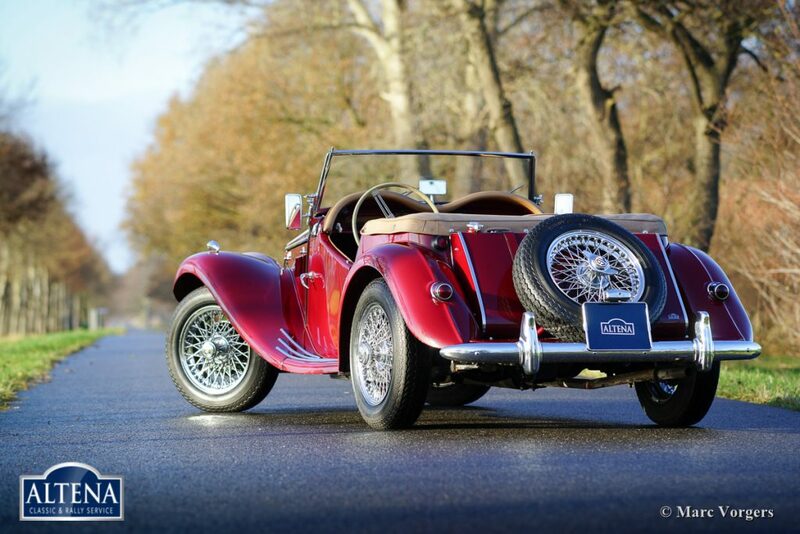 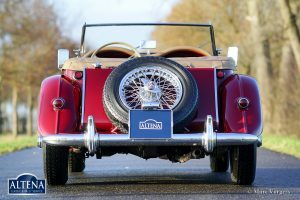 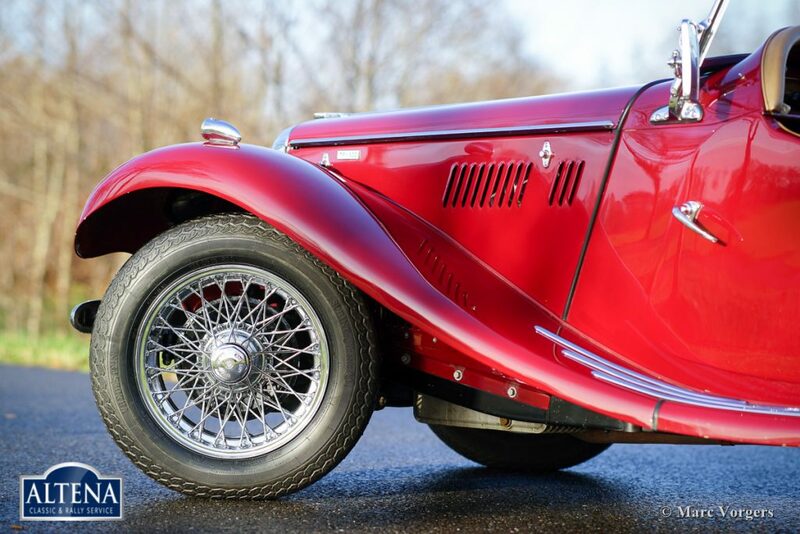 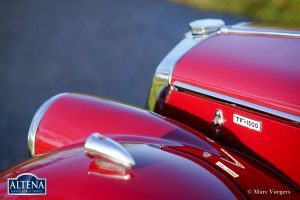 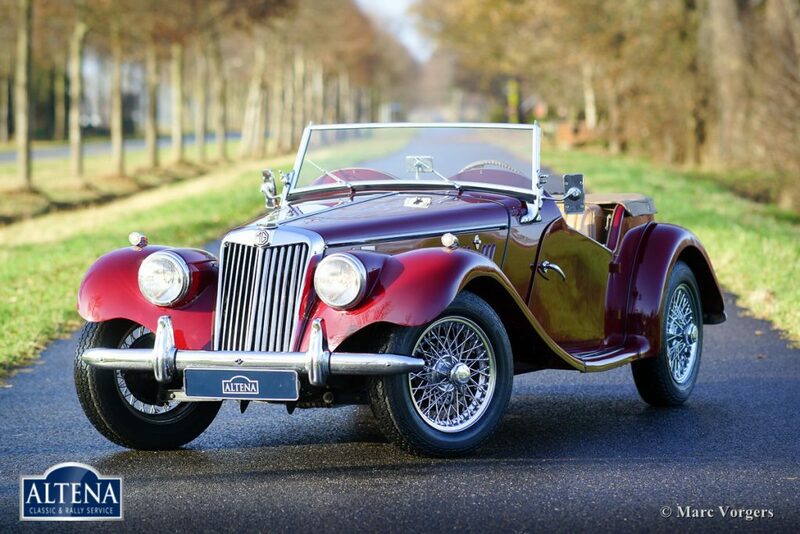 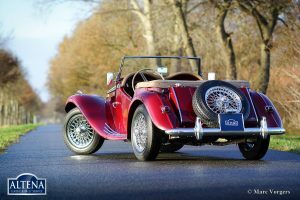 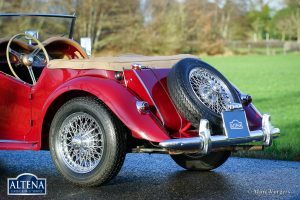 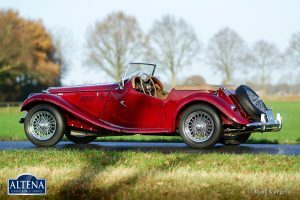 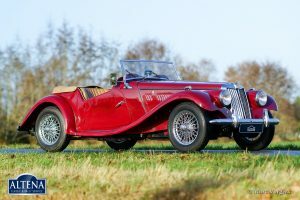 The MG TF gives a splendid open top driving experience in an impeccable classic British style. A top specimen!